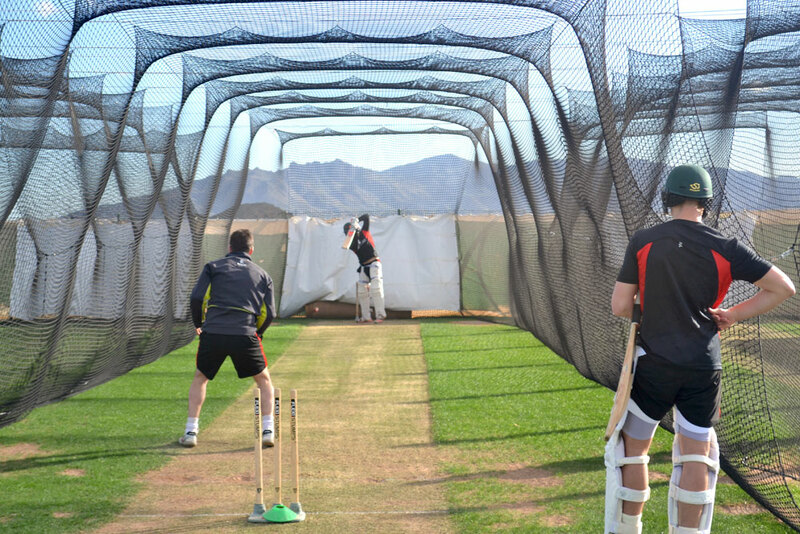 Between Saturday 17th – Thursday 22nd March, Leicestershire County Cricket Club (Leicestershire CCC) will be following in the auspicious footsteps of Lancashire CCC by stepping up their preparations for their 2018 cricket campaign by attending a five (5) day pre-season training camp at the Desert Springs Cricket Ground & Academy. 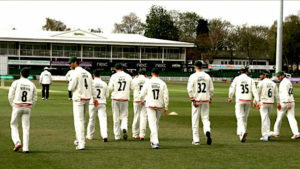 Leicestershire are currently in the second division of the County Championship and in Group C of the Pro40 one day league. The team training camp will comprise a full squad of Twenty-Four (24) players, management and coaching staff, all of whom will be spending their time completing numerous training sessions each day. Grass net practice, both bowling and batting will take place at the Cricket Academy, strength and conditioning work, running, speed and agility work will be completed at the Academy Ground and Gym at the Sierras Sports Club, and the squad will also be completing a trail route as part of their fitness work on mountain bikes during one day. The squad will also benefit from the newly developed Cricket Ground at Desert Springs where they will complete practice sessions that will include; throw downs, slip catch training and match simulations utilising the ground wicket. Gavin Griffiths, Leicestershire CCC right-hand batsman and right-arm fast-medium bowler has taken a philosophical approach to the winter training programme after having a setback at the end of last season. The paceman is normally in the process of cricket specific gym work as well as working on his bowling at this time of year. A routine end of season scan, however, showed Griffiths to have a stress response in his back which has provided the 24-year-old to exercise an alternate way of thinking. Griffiths is now bowling again and will be ready to hit the ground running when the squad travel out to Desert Springs for their pre-season tour in March. At the moment, the fast bowlers are working as a group with Griffiths, Richard Jones, Dieter Klein and Tom Taylor helping one another. There is further excitement in the squad with the arrival of new Head Bowling Coach Matt Mason.